Fab labs aim to stimulate creativity and local talent, experimentation, research and combined learning. The park, with 55,000 square metres on the Barcelona waterfront, has become one of the main biomedical research hubs in southern Europe. 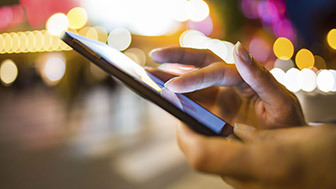 It employs over 1,300 people hailing from more than 50 countries. One of the programmes by Barcelona Activa for training and the promotion of technology for professionals and businesses. Cibernàrium satellites are spaces at Barcelona's libraries where Cibernàrium runs activities for IT beginners and internet users. Large-scale genome analysis projects are carried out at the CNAG which help to improve people's health and quality of life. The BSC's mission is to carry out research and develop information technologies that facilitate scientific progress. It houses the Mare Nostrum supercomputer, the most energy-efficient in Europe. 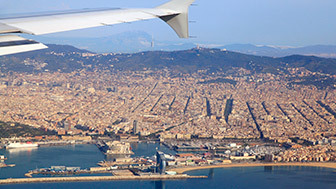 The BCU offers the foreign university and scientific community information and advice on finding accommodation, studying, living and doing research in Barcelona. EscoLab opens the doors of the country's leading laboratories and research centres, offering the chance to communicate with researchers. CodeClub is a network of computer programming clubs aimed at children. Barcelona is a leading city in the study of clinical and human health, home to 90 research centres with more than 400 established working groups in the life sciences and excelling in areas such as oncology, bio-nanomedicine and cardiovascular diseases. Barcelona, with 90 research centres and over 400 established research groups, stands out in clinical research and human health. Barcelona is committed to biotechnology, which plays a key role in the pharmaceutical sector today. Catalunya has 215 hospitals, 13 of which are engaged in important research work. With over thirty, first-class, international and business schools, Barcelona is an important destination for education and training. In Barcelona and Catalonia there are over 100,000 students of all nationalities and from all continents studying at the various levels of university and graduate education. The Spanish pharmaceutical sector is mainly concentrated in Catalonia, where 45% of the pharmaceutical laboratories in Spain can be found. The Barcelona area has an extended network of university hospitals, including the Hospital Clínic, Hospital de Bellvitge, Hospital de la Vall d’Hebron, Hospital de la Santa Creu i Sant Pau, Hospital de Sant Joan de Déu, Hospital del Mar and Hospital Germans Trias i Pujol. Barcelona has one of the largest university communities, with 196,604 students and 12,344 lecturers at 7 universities offering 317 degree courses. With 500 years of university history behind it, Barcelona is committed to offering quality and tradition in its university studies. A science park with eight independent institutes and centres conducting research in five broad areas. Find out more! The CMRB carries out research on human embryo stem cells to treat degenerative diseases. The CRG conducts biomedical research, especially in genomics and proteomics, with researchers from all over the world. Specialises in bioengineering research and its medical applications. The ICCC carries out cardiovascular and heart disease research with a high level of international competition. The IRB is a very dynamic centre of excellence devoted to basic and applied biomedical research. Some of its biggest successes have been achieved in cancer research. The institute's goal is to help improve knowledge, prevention and treatment of HIV infection and AIDS in order to eradicate the epidemic. A public body set up to manage the public health and environmental services in Barcelona. Barcelona, with more than 500 years of university history, attracts students from all over the world. The city offers first-class undergraduate and postgraduate programmes. It also has renowned business schools that attract talent, whose aims are to stimulate the creation of quality jobs with added value and foster entrepreneurship. The Barcelona area has an extensive network of university hospitals that includes the Hospital Clínic, Hospital de Bellvitge, Hospital de la Vall d’Hebron, Hospital de la Santa Creu i Sant Pau, Hospital de Sant Joan de Déu, Hospital del Mar and Hospital Germans Trias i Pujol, enabling it to offer the public a quality, specialised medical and care service. Moreover, Catalonia is home to 22% of the biotechnology companies in Spain and 45% of the pharmaceutical companies, led by the biggest in the sector, all of which are Catalan: Almirall, Esteve, Ferrer, Grífols, Lacer and Uriach. Catalonia is also the base for 40% of the medical technology companies in Spain, which account for 50% of total turnover in the sector. According to the Biocat report for 2012, in the last five years, more than 450 Catalan companies (biotechnological, pharmaceutical, innovative medical technology and sector service companies) have registered a growth rate of between 15 and 30%. Clear evidence of the sector's potential in the current context of economic recession. Catalonia has the most dynamic biocluster in Spain, and one of the most active in this field in southern Europe. 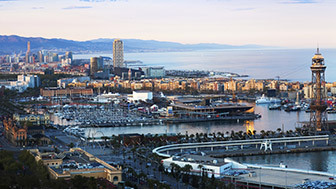 In addition to that, Barcelona and its surrounding area has three of Europe's benchmark infrastructures: the Mare Nostrum supercomputer (Barcelona Supercomputing Center, BSC), the National Centre for Genomic Analysis (CNAG) and the Alba-Cells synchrotron. All three are pioneering projects promoting the city on an international scale.